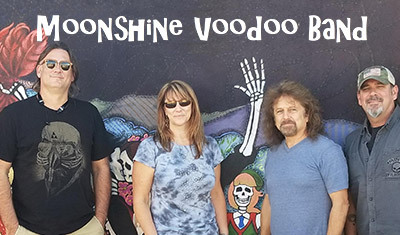 Moonshine Voodoo is a four-piece band from Phoenix, Arizona. The musicians combine the sounds of classic rock, blues and backwoods swamp music to put on unique and high-energy shows all over The Valley. Download their album “Kickstands Up” to get ready for their debut on The District Stage.